It's no secret that HiR absolutely loves fire and explosives as evidenced by almost a decade's worth of traditional pilgrimage out to the fringe of society every Independence Day to partake in massive amount of blowing stuff up. In my more mischievous and adventurous youth, I made these fire starters in batches. The one drawback is that when these are fully assembled, they may be set off unintentionally if they're crushed or subjected to significant shock. I'll cover storage and transportation tips later on. Disclaimer: Arson is illegal. Fire isn't a toy. Making improvised incendiaries is an act of "terror" in the US. Don't be a moron. HiR won't be held responsible for random acts of stupidity. If waxed, these igniters are immune to temporary exposure to water splashes and rain. They start things on fire quickly. The intense flame is resistant to high winds while the igniter material is burning. In many situations, they burn for more than 10 seconds after the match heads finish. Start kindling quickly to build a fire for warmth, light, or cooking. Use as a bright, temporary flare signal in the dark. A remote pull trigger can be used to activate a fire (pile of leaves, flammable substances) as a distraction for egress or ambush. Use as an improvised remote trigger where distance from the fuse or fire is desirable. I'm sure plenty others come to mind. 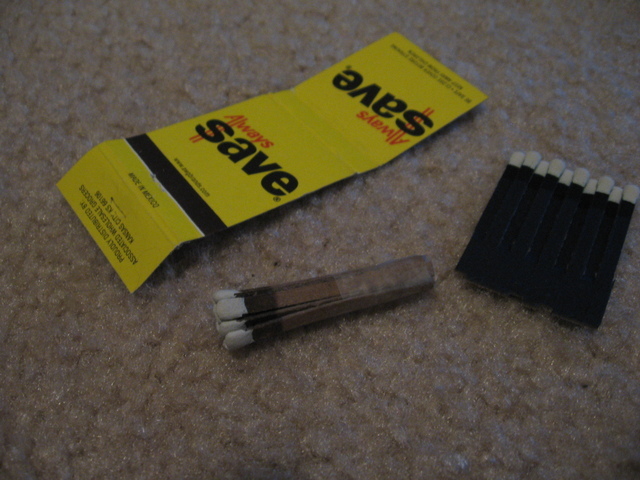 Take apart a book of matches and throw away the staple. Pardon the generic matches. 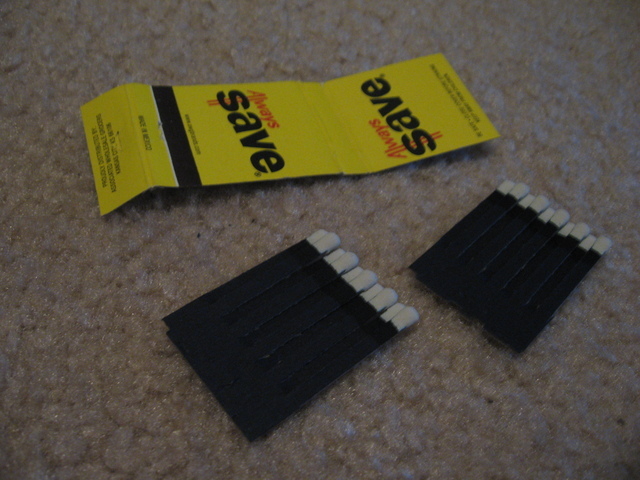 I don't smoke nor do I make a habit of picking up match books from various places. 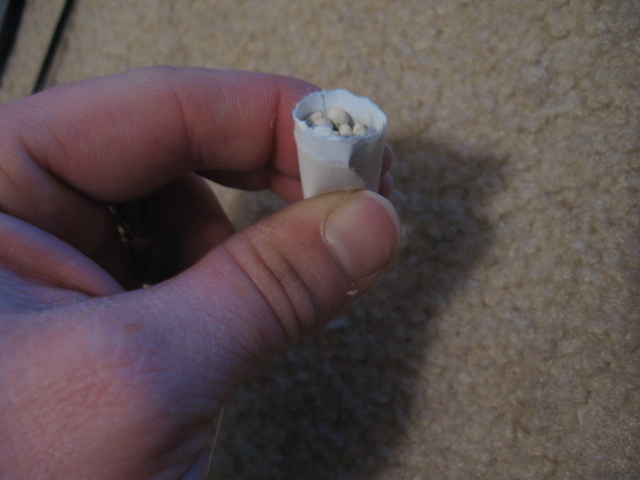 Take one of the sets of matches and roll it tightly, then tape the bottom to hold it tight. Carefully wrap the match book cover around the igniter tightly with the striker touching the igniter, but don't let the igniter rub on the striker or it will go off in your hand! Keep a bowl of water handy just in case. 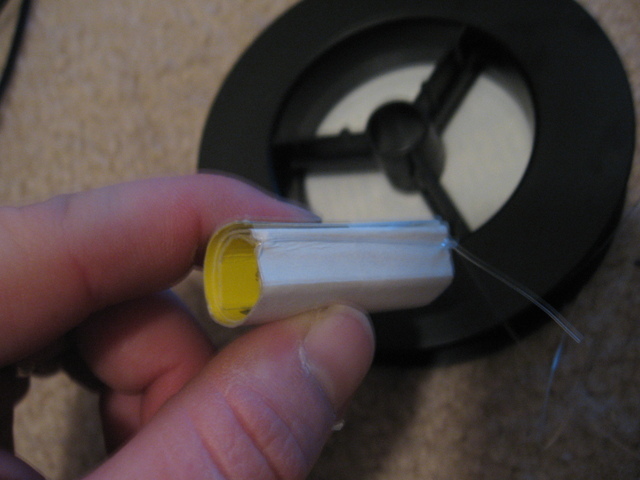 Wrap tape around the cover, and you have a pull igniter. Just yank the igniter out through the tube and you'll get a hot, brilliant flame. You can make a second igniter out of the other set of matches as well. The striker tube is re-usable. 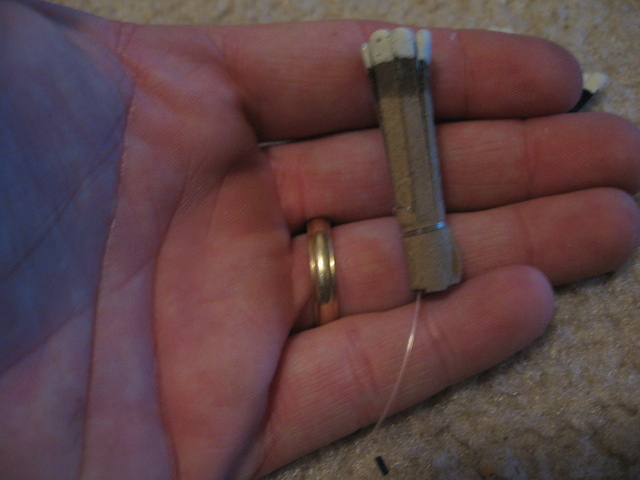 Make a slip knot in fishing line or string and use it to bind the rolled matches. 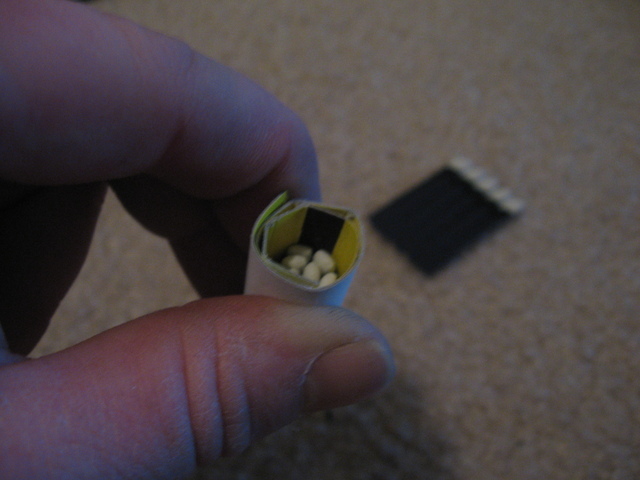 You really don't need to use tape for the rolled matches if you go about it this way. Leave a few feet of fishing line attached to the igniter, so that you can tie it around a sapling or another anchored object. Take the striker tube and tie fishing line around it and tie it off. You will want a lot of fishing line to spare, because you will want to be able to string it across a fairly wide path if need be. I usually give it about 12 feet. Assemble much like you put the last one together (that is, very carefully!). To set the trip wire, tie the igniter to a stationary object, then string the longer wire across a path. Jam a fuse deep into the striker tube with the igniter to activate a flare or other payload. Carefully melt some wax in an old tin can set in a pot of boiling water. Dip the igniter in wax a few times to coat it. Wrap paper around the igniter before storing it in the striker tube to keep the igniter from going off in transit. 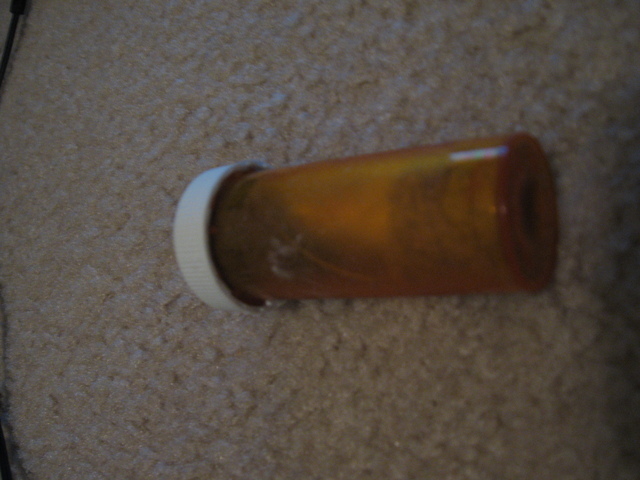 I recommend keeping these in a 35mm film canister or orange pharmacy pill bottle. Both of these are relatively water-tight. Add some old dryer lint for padding. Lint also ignites easily and makes good kindling for starting a larger fire when you're camping or backpacking.